The first ever First Friday Whānau Fun Nightopens a new window at Te Hāpua: Halswell Centre in December was an absolute blast! 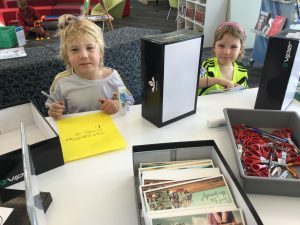 Held on the first Friday evening of the month, First Friday Whānau Fun Night is a chance for whānau to hang out at the library together and share stories, make memories, and explore some fun activities as a family. 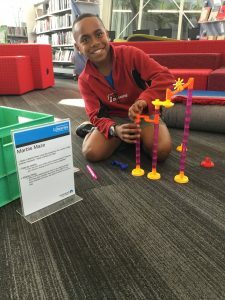 This first session was all about mazes, and adults and tamariki of all ages came along to the library to listen to a story and then choose between some of the a-MAZE-ing activities on offer. Activities are aimed at 5-12 year olds, but all family members are welcome. We programmed the BlueBots to go through mazes we made ourselves, used recycled boxes and cardboard to build our own portable shoebox mazes to take home with us, worked by ourselves and in pairs to build tall marble run mazes, and designed our own mazes for other people to find their way out of. It was fantastic seeing brothers, sisters, cousins, and parents and caregivers all working together and sharing stories about the different mazes they have seen and been in. 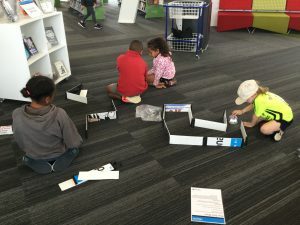 Christchurch City Libraries has lots of maze booksopens a new window that people could look at and check out, and everyone took home some ideas of how to make even more mazes at home. 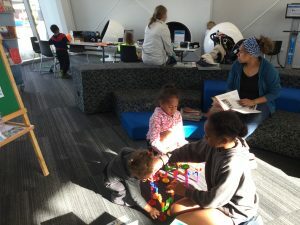 The next First Friday Whānau Fun Night will be 5:30-6:30pm Friday, February 1 at the library at Te Hāpua: Halswell Centre, and will be all about construction and building so grab the whānau and head on down!